We need to add Star fighters like the Tie Fighter, Tie Interceptor, X wing, and A wing as the basic star fighters for the Rebellion and Galactic Empire. yeah definitely. But I'm confused about how, in general, the space battles should look like. What should they be fighting for in space ? Usually they had to do Space battles so they can destroy the enemy fleet and then do a land invasion. Check out Star wars strategy games, they had it. Yes I know that lol. But I meant like how it should look like in this turn based strategy game. I thought about having a Galaxy with the planets placed around, and some of the planets will give a bonus. For example on kuat empire could build star destroyers for less turns. If under Rebel control, the rebels will be able to produce ships for less turns. If the Rebels control the planet Mon Cala, they will be able to produce Mon Calamari ships and cruisers. Last edited by sortablebird on Tue Sep 06, 2016 11:13 pm, edited 1 time in total. I mean the planets are gonna be like TCs. And they wont be randomly placed cause doesn't make sense lol. 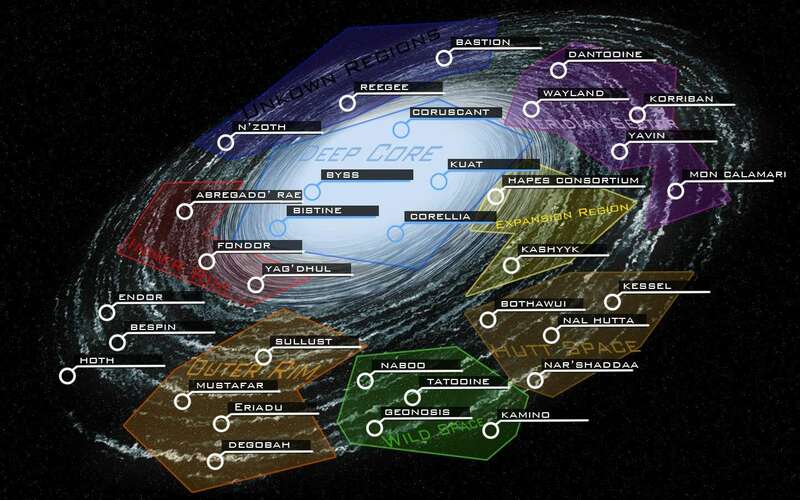 I think there should be different territories to choose from in the galaxy. Cause the galaxy is too big. Planets will give you some bonuses, you can build some space stations or ship yards near them. I can compose a list if desired.